The 2018 Chevrolet Corvette Stingray 2LT coupes available now in Naperville and Aurora, IL feature powerful 6.2 L V-8 engines, a responsive 7-speed manual transmission with Active Rev Matching, Brembo performance brakes, a rear vision camera, the safety and convenience of OnStar, and so much more. 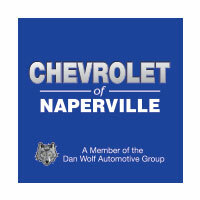 Explore our inventory of capable coupes to pick out your favorite then keep reading to see why, for all things Chevy performance, Chevrolet of Naperville is your best bet. At Chevrolet of Naperville, we not only offer a comprehensive inventory of 2018 Chevrolet Corvette Stingray 2LT coupes to our Aurora neighbors; we make it easy to get the financing you need to make your modern muscle car affordable too. Speak to one of our finance specialists and learn about the rebates and incentives Chevrolet offers for your new car and explore the affordable financing options we offer to the take the strain out of monthly payments. Maintaining your baby is easy thanks to our state-of-the-art service center and factory-trained and certified technicians with years of experience taking care of vehicles like yours. You can even save money on your next vehicle purchase and earn valuable rewards for bringing your vehicle to us with our Preferred Owner Program. Contact us today to learn more and see how easy it is to get behind the wheel of a heart-stopping ride like the Corvette Stingray at Chevrolet of Naperville.